This one feels especially happy. 1) Use it as a whole group lesson. Let your kiddos take turns pulling the sentence cards out of a container and sorting or gluing them on a large chart underneath the tense "header" cards. 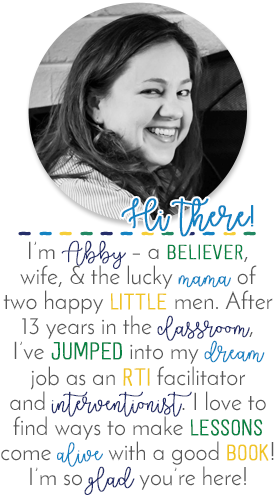 I'm also participating in a FANTASTIC giveaway over at Tips for Top Teachers, one of the collaborative blogs I am a part of. You have until December 15th to enter and there are multiple ways to qualify! 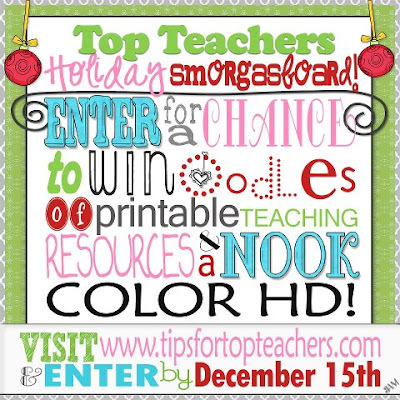 In addition to the Nook Color HD, we're also giving away a CRAZY FABULOUS package of teacher resources from some of your favorite bloggers. You must click over and enter! I hope I've left you with a little "happy" today! Hopefully it will make the rest of your time between now and your Christmas break a little easier! Thanks for the great Christmas packet freebie! I can't wait to get it downloaded to use in my classroom! Thanks so much! You are right about doing this activity together this time of year. I can't wait to use this in my classroom. We are just starting verbs and this will be perfect! Have a great Christmas!